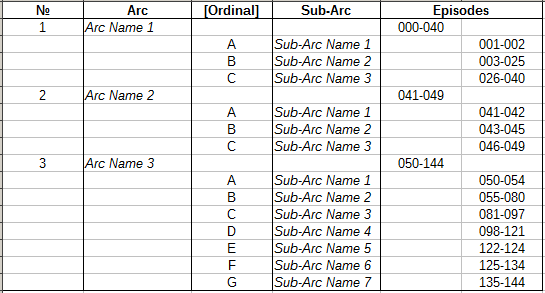 Is there an ordinal indicator I can put there where it says [Ordinal] that, rather than referring to numeric ordinals, actually refers to alphabetic ordinals? After all, I'm sure I could still use the Numero sign, although a) it'd look weird in my opinion with letters instead of numerals, and b) I've already used it in Column A, so I'd prefer, if possible, to use another symbol altogether. EDIT: When I find myself in this position, I typically use the Greek lowercase letter Alpha (α). However, I'm not entirely sure if this generally is used outside of my own personal documents. Browse other questions tagged lists typography ordinals or ask your own question.